Do my Academy classes count for credit at Patrick Henry College? 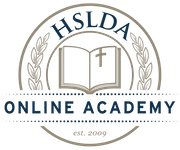 HSLDA Online Academy’s AP® courses are high school courses and do not automatically give students credit at any college. However, students may earn college credit on the basis of qualifying AP® exam scores. The Academy's AP® classes are designed to equip students to perform well on AP® exams. To receive credit at Patrick Henry College, you must earn an AP® exam score of 3, 4, or 5. For full AP® Credit Policy information, please scroll down to the “Credit from Other Sources” section of Patrick Henry College’s Transfer Credit Policies page. Please note that your eligibility to receive the Academy Alumni Scholarship is not linked to AP® exam performance. Your tuition for a particular HSLDA Online Academy course counts toward your matching scholarship award whether or not you choose to take the corresponding AP® exam and without reference to your AP® exam score.